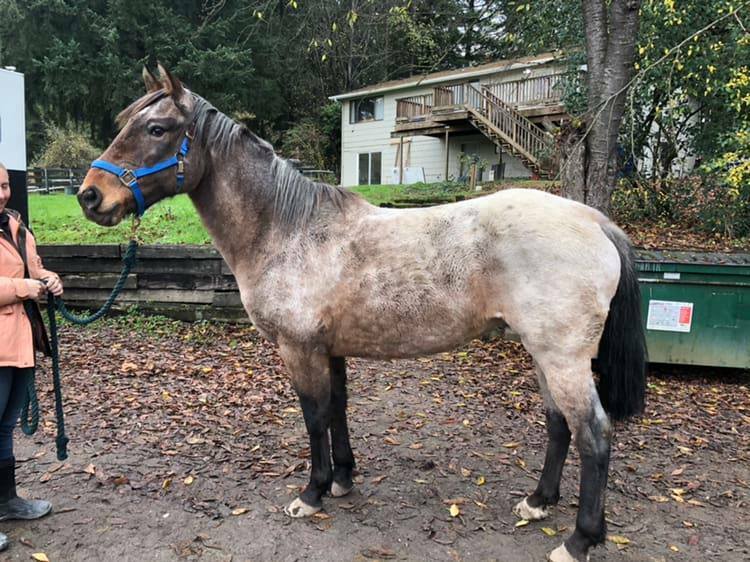 Amira was surrendered to SAFE after her owner abandoned her and another horse on a property that could no longer house horses. 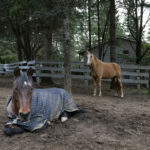 Amira’s 27 year old companion was starved and had to be humanely euthanized. 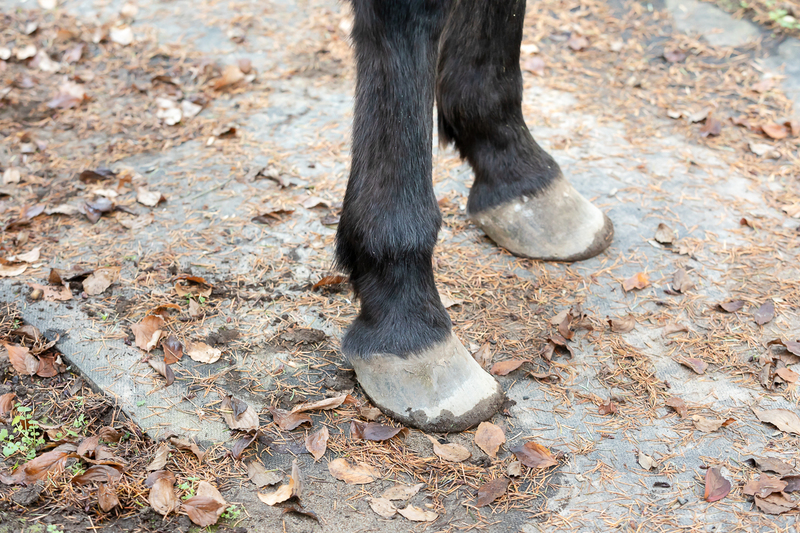 Amira fared better but she still showed signs of neglect: her shaggy winter coat hid her weight loss, and her hooves were overgrown and full of nasty thrush. She hadn’t had a dental or any other vet care in years. 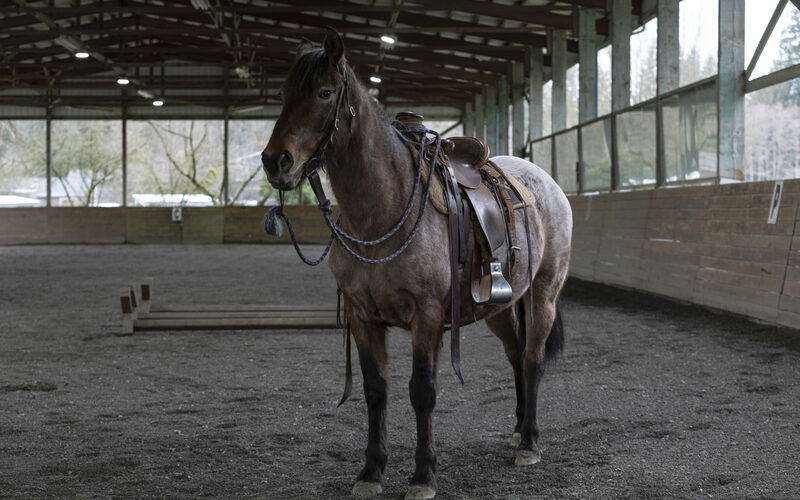 A freeze brand revealed that Amira is a Mustang, born in 2005 in the Warm Springs BLM area of Oregon, and we were told that she was a very well‐trained riding horse who had taken care of kids and beginner riders. From the beginning, Amira’s winning personality shone through her starvation coat. She just needed a little TLC and conditioning to be ready to place in a wonderful home! Adopter Laura fell in love with Amira at first sight. 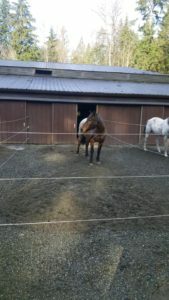 It was easy to do with this sweet mustang mare, born in Warm Springs BLM area of Oregon. The new friends meet a few times at SAFE to get to know each other and a plan was formulated to continue her training and conditioning for a few months with Laura’s trainer before eventually moving home later this spring. 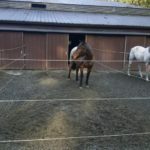 This feels like an adoption done right, with everyone willing to work at the horse’s speed and always putting Amira’s best interests as the priority. Her lovely new family will take exceptional care of her and without a doubt she has found a great family to call her own! We’re excited for her future with Laura! Adopter Laura fell in love with Amira at first sight! It was easy to do with this sweet mustang mare. The new friends meet a few times at SAFE to get to know each other and a plan was formulated to continue her training and conditioning for a few months with Laura’s trainer, Katie, before eventually moving home later this spring. 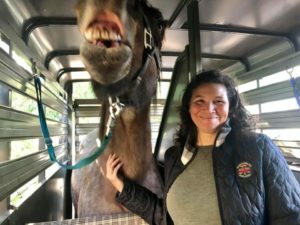 This feels like an adoption done right, with everyone willing to work at the horse’s speed and always put Amira’s best interests as the priority. Amira’s journey from here looks bright! Her new family will take exceptional care of her and without a doubt she has found a lovely home! We’re excited for Amira and her future with Laura! Amira came to SAFE in November 2018. She was a little underweight and had not seen a vet or farrier in some time. She had a very bad case of thrush and a few spots of rain rot. After a few weeks of medical treatment, she was up to date with her farrier, vaccines, and dental care and ready to start work. We took things slowly, building muscle and strengthening her in preparation for riding. We worked her on the ground, assessing how she would be as a riding horse. After riding her, it was clear that she had done it before but needed some refreshing. Overall, she had very few troubles. She was slightly pushy, needed to learn to look to her handler for direction and a lot of work to calmly put on the bridle. 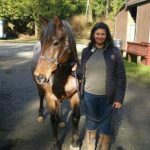 In general, horses that come to SAFE have a lot more to overcome and the troubles that Amira had just needed a little time and patience. 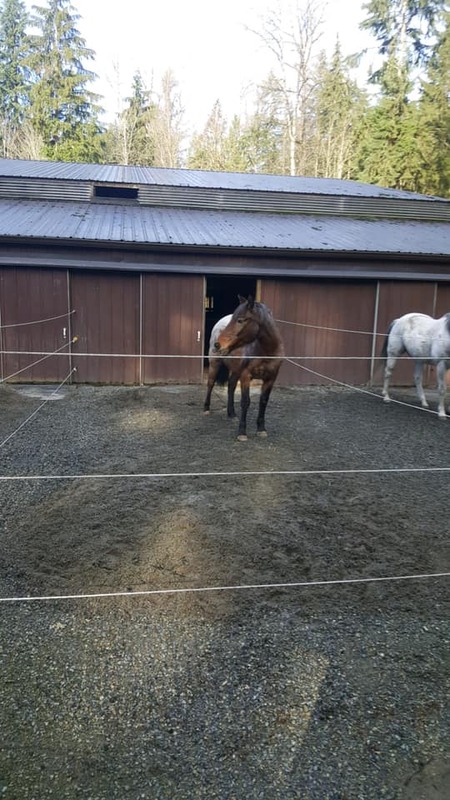 Clearly finding this mare a home was not going to be too difficult. She was easy going but needed a bit of consistency to stay on the right path. Laura C. came to SAFE about a year ago interested in adopting. At the time, she was a beginner rider and we didn’t have anything that matched her needs. She came for a tour and we talked about things she could do in preparation for horse ownership. 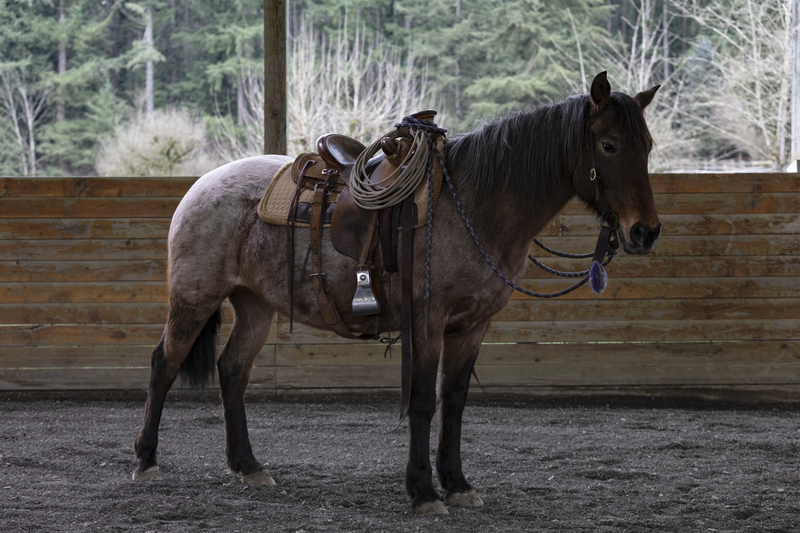 One of the smartest things she did was align herself with a trainer and support system for when she found the right horse. She took lessons over the year and in December she contacted SAFE ready to move forward towards adoption. Amira wasn’t ready to leave just yet, but Laura was patient while we restarted Amira and made sure she was sound and had no surprise troubles for Laura to deal with. Laura and her trainer came to visit Amira early in the process and agreed she was worth waiting for and would come back in a few weeks to ride her. When the time came, they could see the changes she had made and the areas that still needed some strength and training. 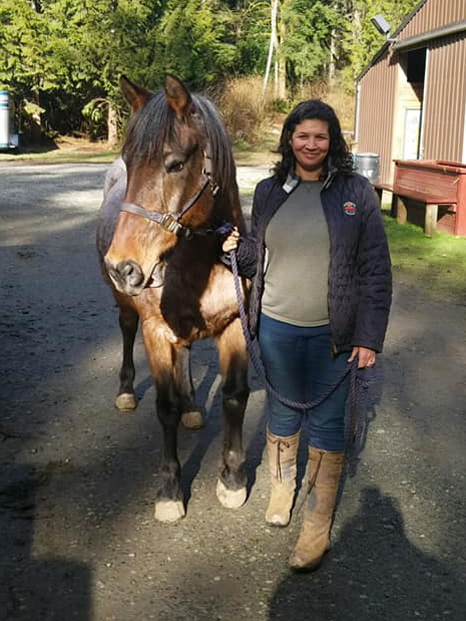 Laura had a great plan to start Amira at her trainer’s barn for 2–3 months, get more miles on her both in the arena and on the trail and then take her home in the early spring. So far, all reports from the trial period have been good and we are hopeful that this adoption will be finalized soon! 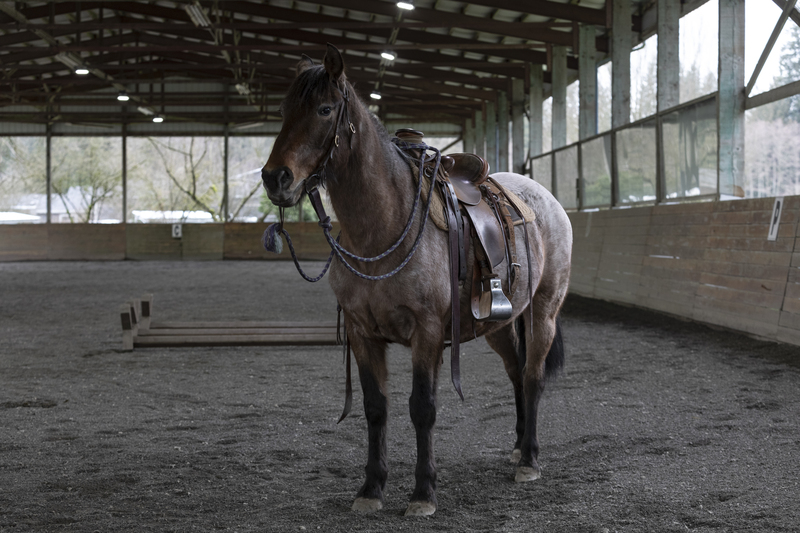 Amira is a very kind‐hearted mare and now in the right hands she can blossom into a wonderful riding partner. 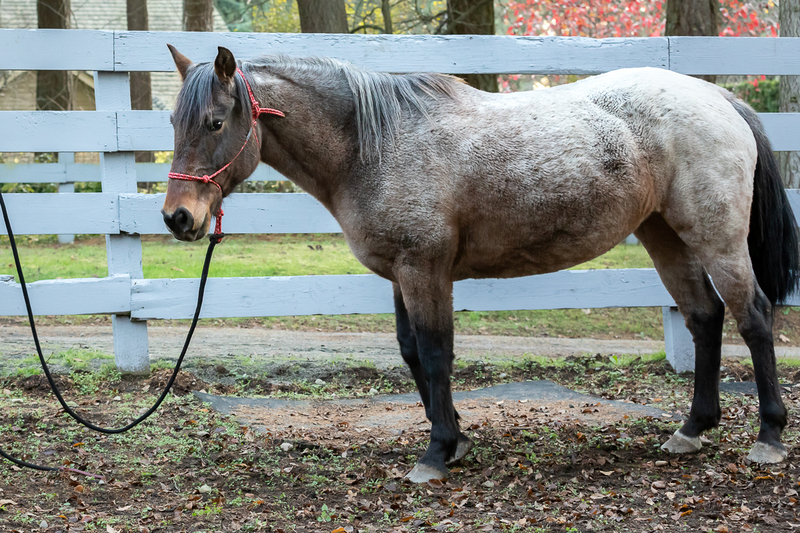 Amira has been with us for 10 days now and so far, we really like this sweet, friendly mare! She’ll be quarantined for about another week, and then we can really start getting to know her. For right now, we mostly interact with her when her paddock is being cleaned, and she likes to follow the volunteers around when they’re there. 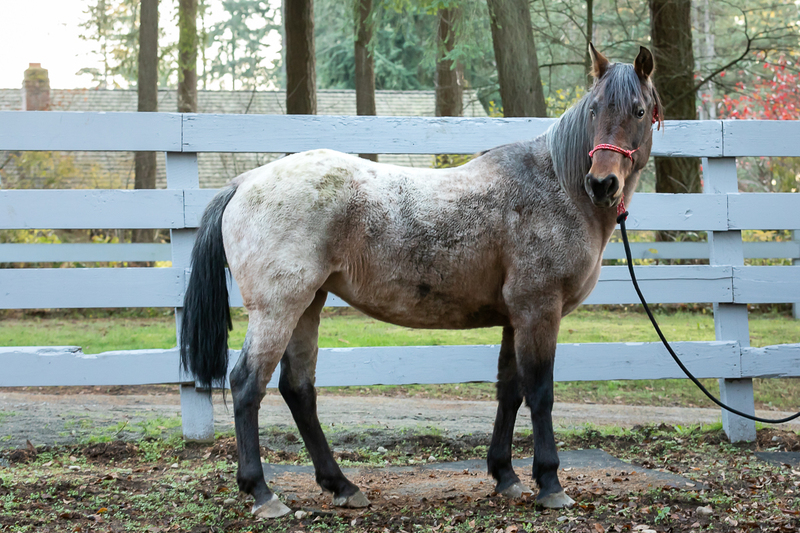 We are still very hopeful that Amira is a kids horse as we were told. This weekend, she met a little girl and gently and carefully allowed herself to be led around by her. It was pretty adorable. We are a little concerned about her RF foot…she seems to be resting it quite a lot. Could be she has an abcess brewing, causing her discomfort. We’ll have our vet take a look at it when he comes out to float her teeth. We also couldn’t help but notice that Amira has a line of white fur just below her crest on the left side of her neck. Could this be a mustang brand? It’s hard to tell right now, with her scruffy starvation coat, but maybe we’ll be able to make it out better when she sheds out in the spring. 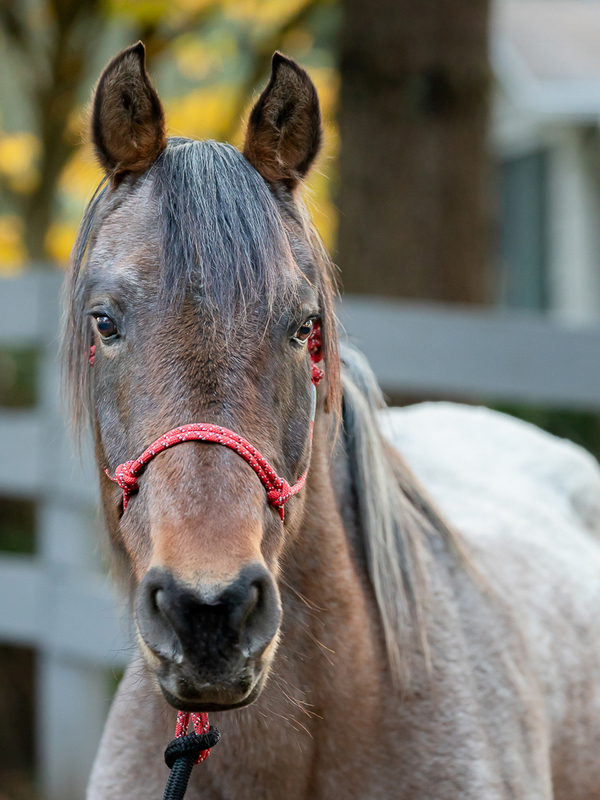 Amira is a 14 year old mare who was surrendered to SAFE after her owner abandoned her and another horse on a property that could no longer house horses. 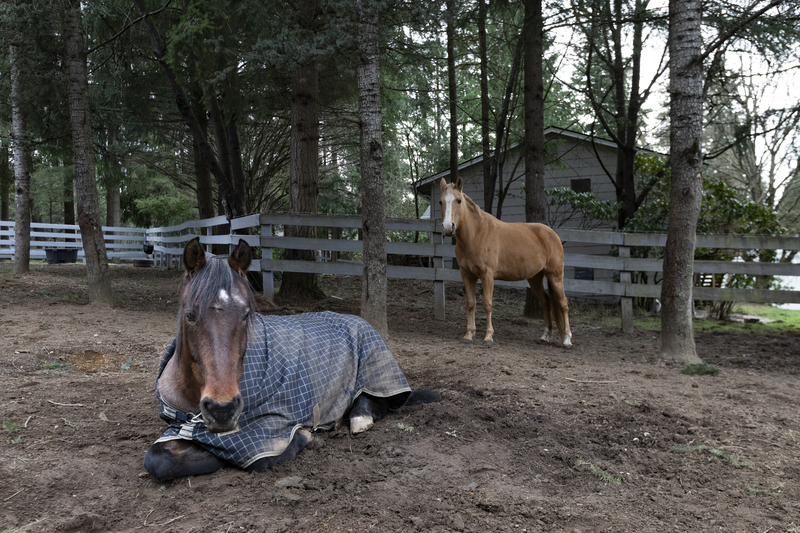 Amira’s 27 year old companion was starved and had to be humanely euthanized. Amira fared better but she still shows signs of neglect. Her shaggy winter coat hides her weight loss. 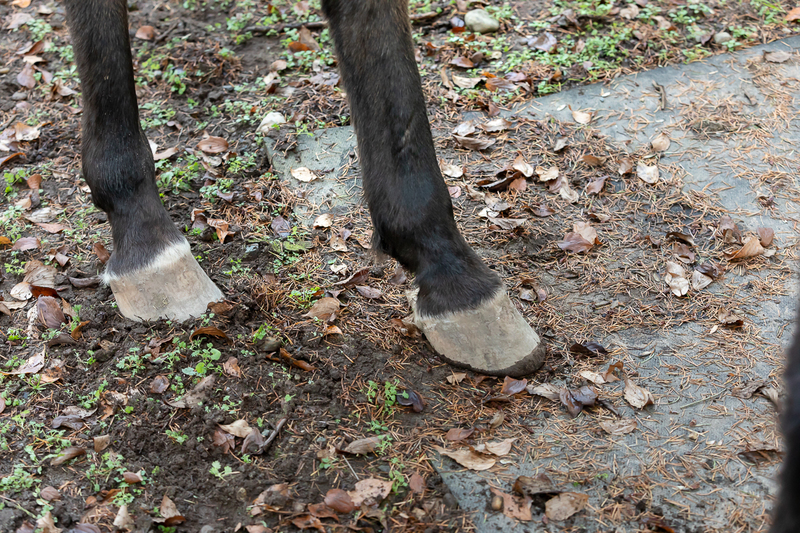 Her hooves are overgrown and full of nasty thrush. She hasn’t had a dental or any other vet care in years. 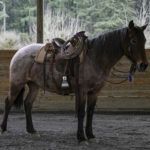 However, we are told that she is a very well trained riding horse who has taken care of kids and beginner riders. Right now, she is in quarantine for her protection. Once she is stable, we look forward to finding out what this sweet girl can do.